The polar vortex has plunged much of the country into the coldest arctic conditions in two decades. “Maybe tonight is a perfect example of a time when individuals who are previously very recalcitrant about engaging might, because of the degree of cold, step in, engage, utilize services,” Palka told 90.5 WESA’s The Confluence Wednesday. “And then, they might just go back outside again," said Palka, who serves as Operation Safety Net’s street outreach director. Jim Withers, medical director for Operation Safety Net, said it can be difficult to link people who experience homelessness with the support they need to survive the dangerous cold. He estimates that on the worst winter days, 200 people in Pittsburgh do not take shelter. Hear Withers' and Palko's full conversation with WESA's Kevin Gavin here. While some cannot make it to the facilities, he said, others are wary of the social services system. Withers said some experience trauma due to past denial of services or mistreatment. Withers said mental health issues, which are common among the homeless, often make it harder to establish trust. To address this challenge, Withers said, service providers should work year-round to build relationships with people who experience homelessness. Warming centers, which provide daytime and evening protection from the elements, offer another option for weathering the extreme cold. Leslie Cooley of the South Side Flats stopped at a center in the South Side Wednesday. She said she was taking a break before walking into downtown Pittsburgh. 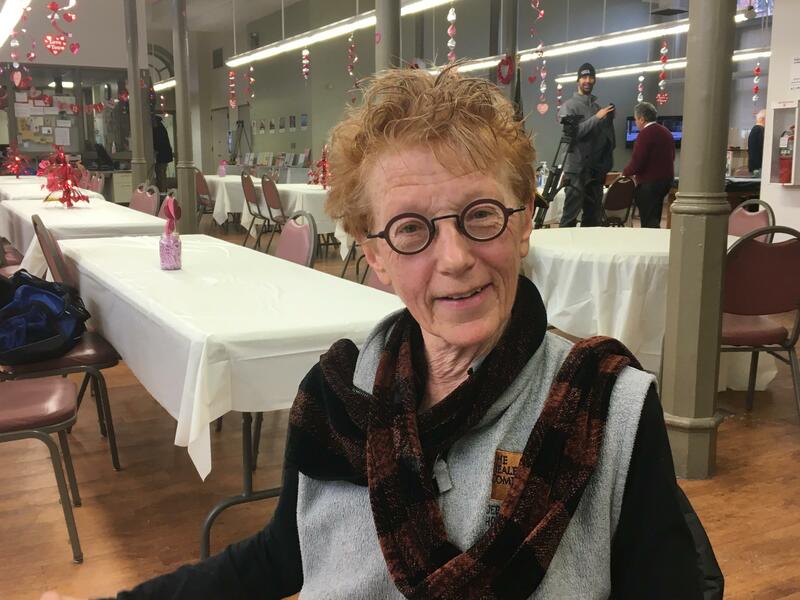 Leslie Cooley managed to walk from her South Side Flats home to downtown Pittsburgh by stopping at a warming center along the way. Find warming centers and shelters throughout Allegheny County using the app here or United Way's 2-1-1 helpline. The helpline can be used at all hours by dialing 2-1-1 (or 1-888-553-5778), texting 898-211, or visiting pa211sw.org. *This story was updated at 10:58 a.m., Jan. 31, 2019, to include additional resources for finding cold weather shelter. Gov. Tom Wolf is rolling out a second-term proposal to raise Pennsylvania's minimum wage after similar first-term proposals by the Democrat fell flat in the Republican-controlled Legislature.